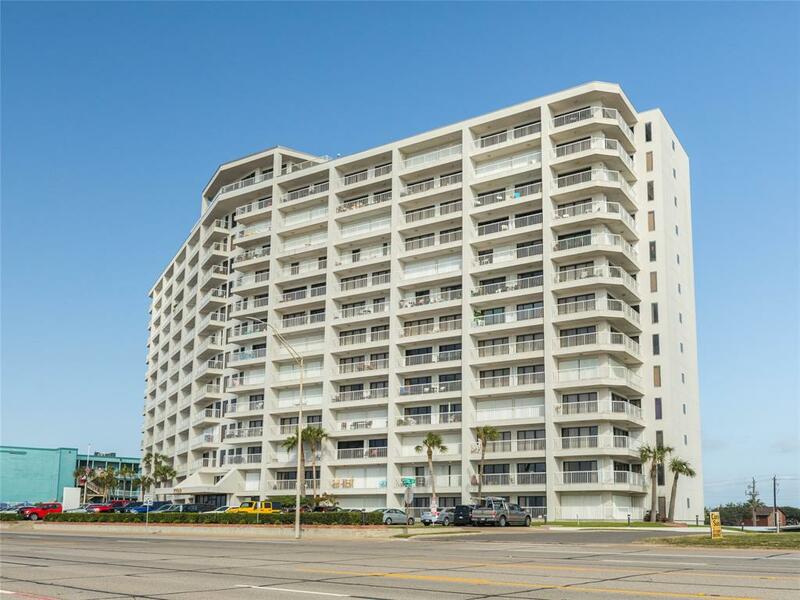 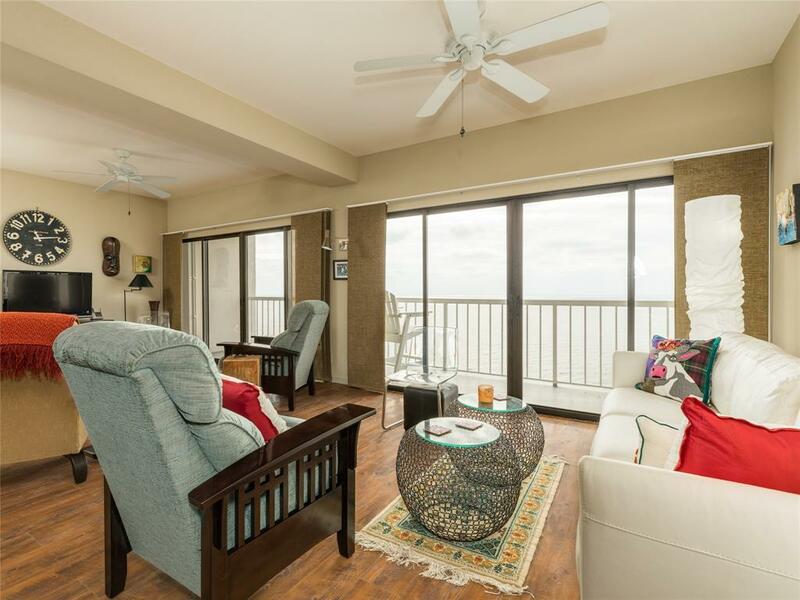 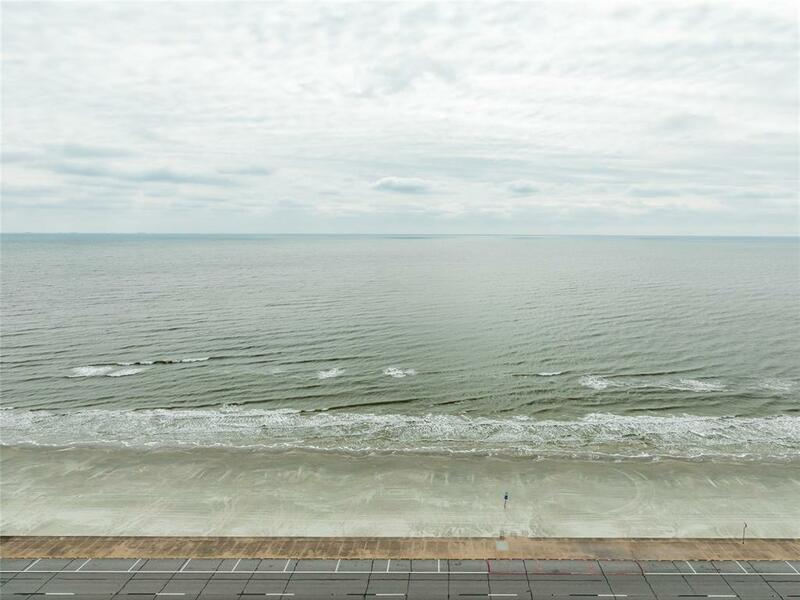 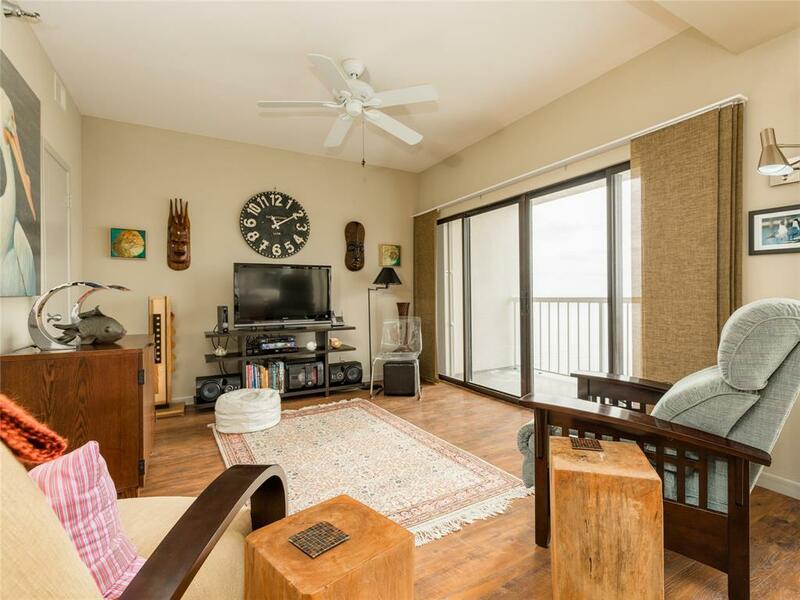 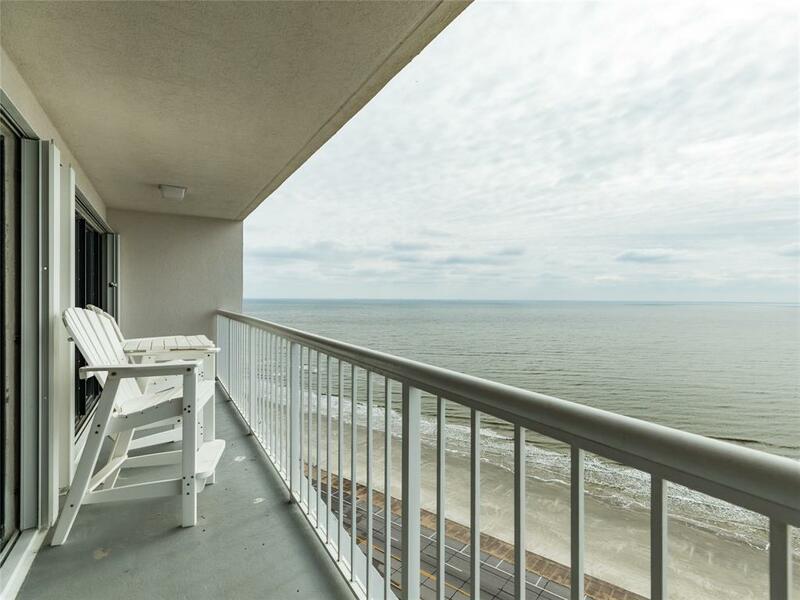 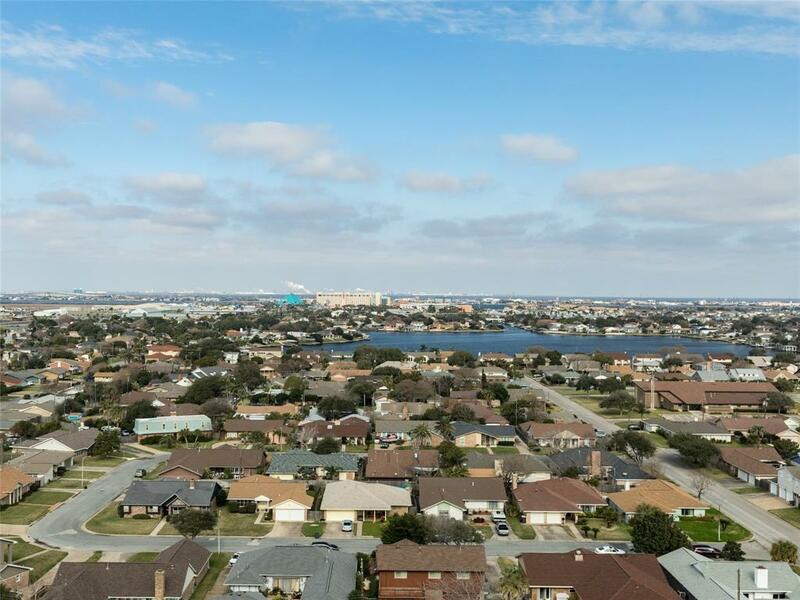 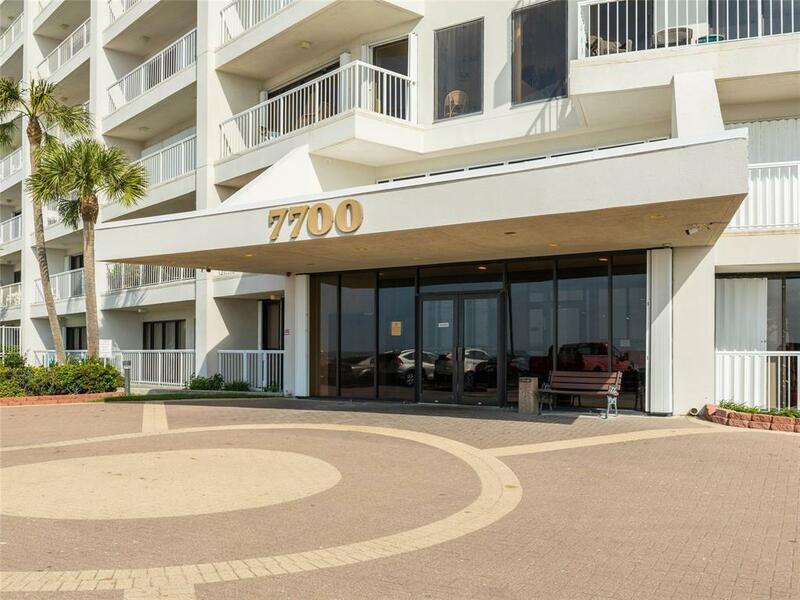 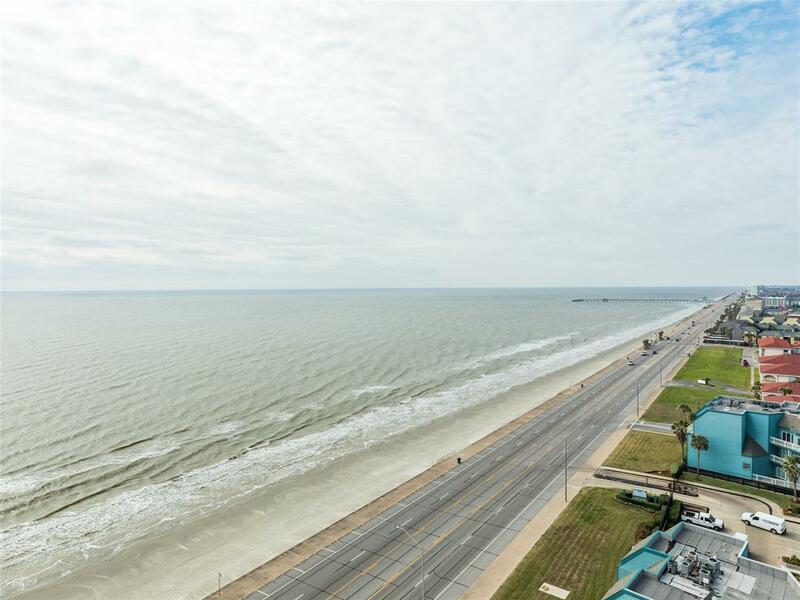 Breathtaking views of the beachfront from this penthouse level condo's large expanse of south-facing windows. 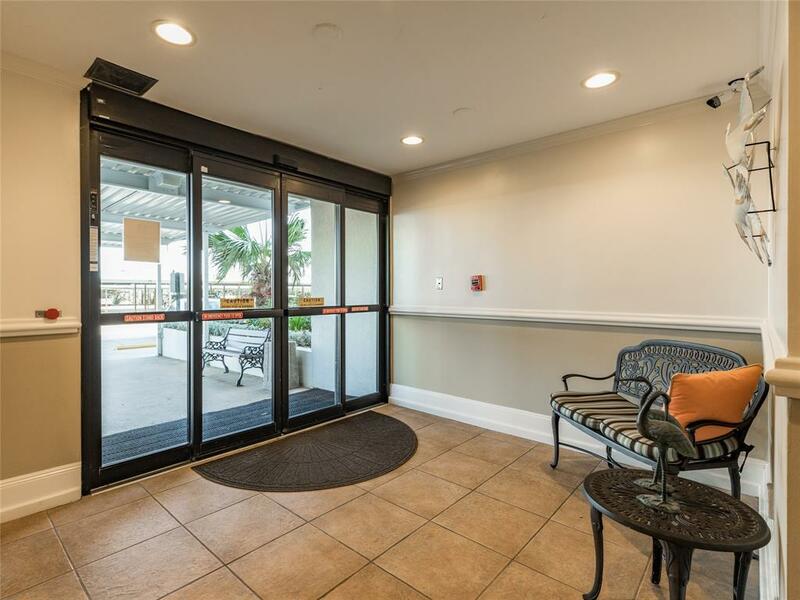 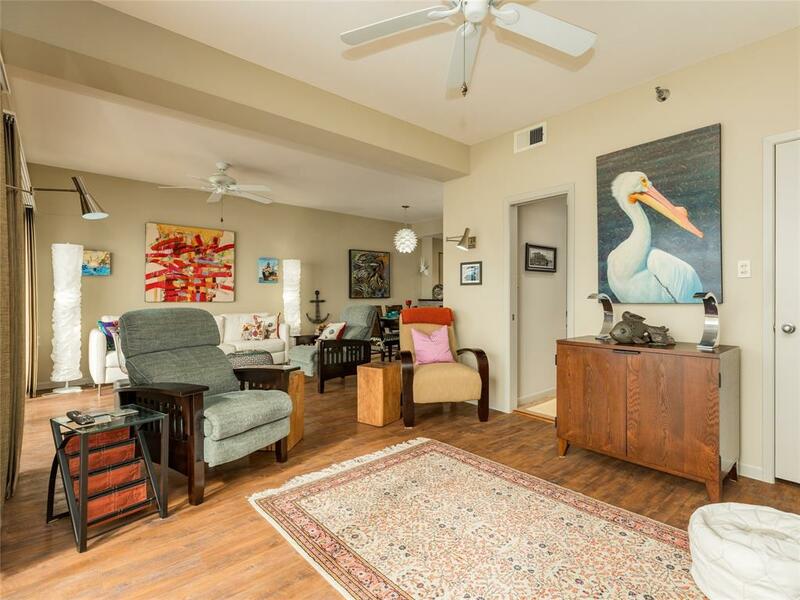 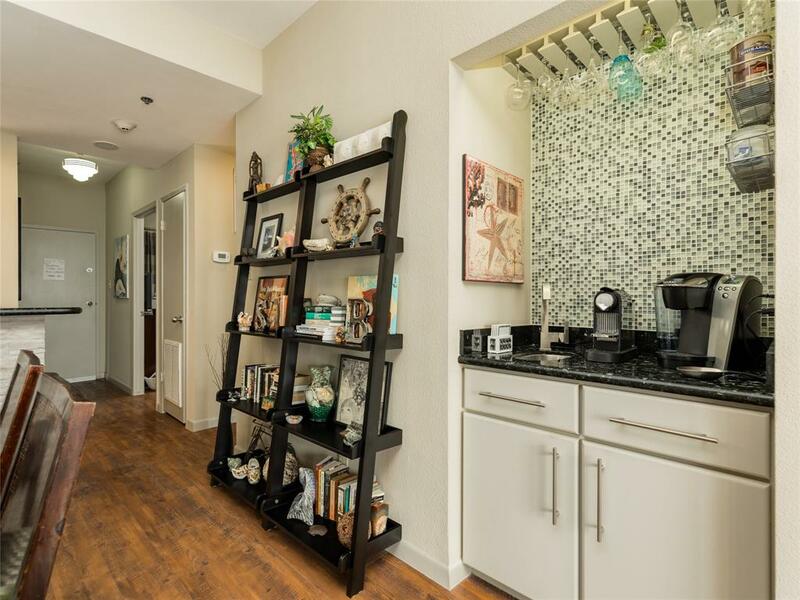 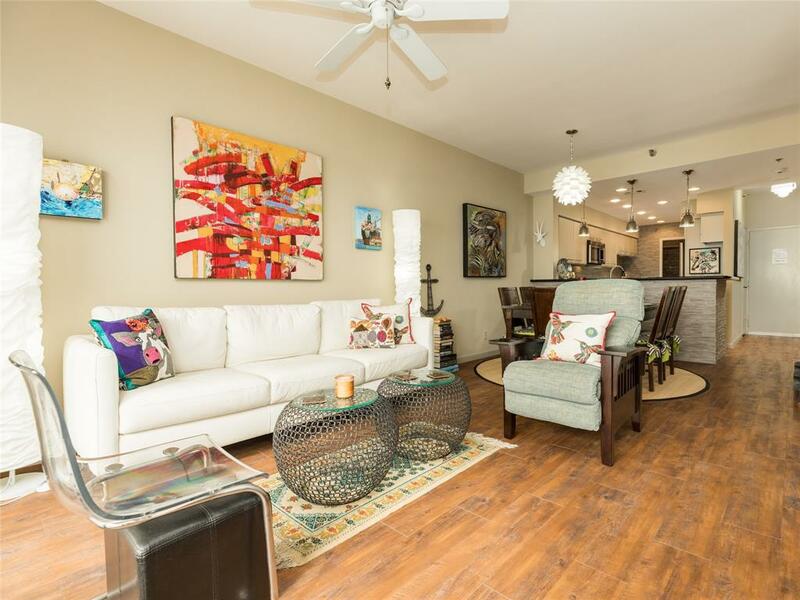 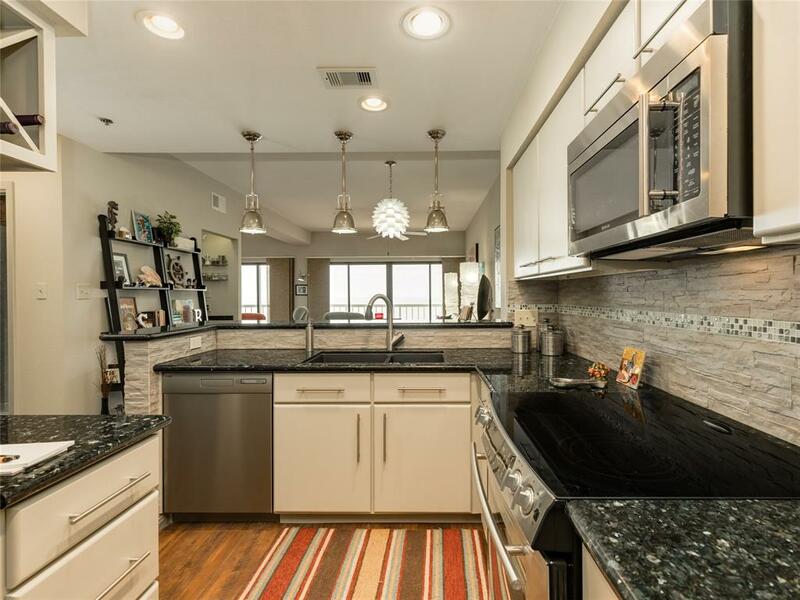 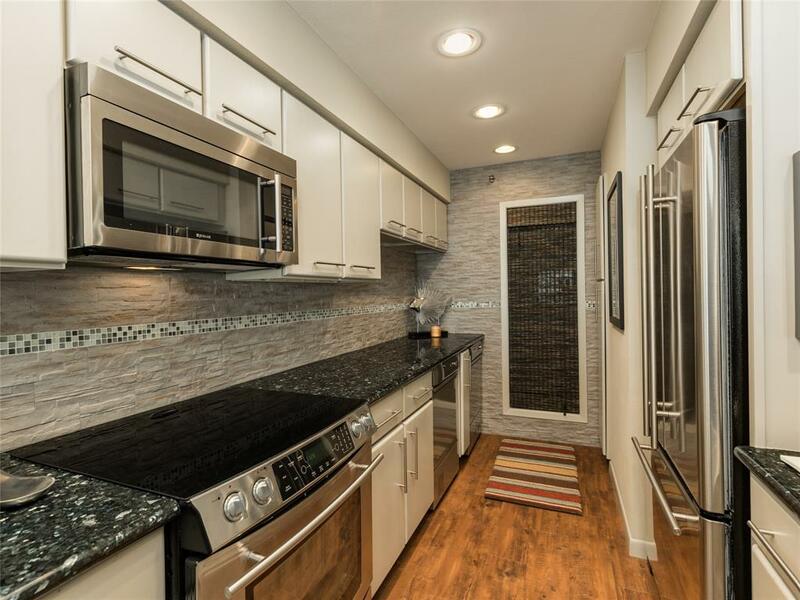 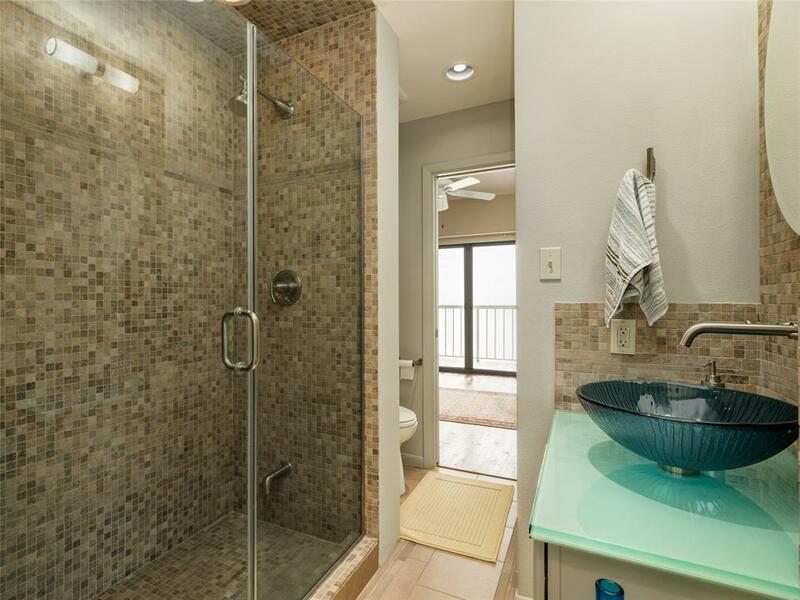 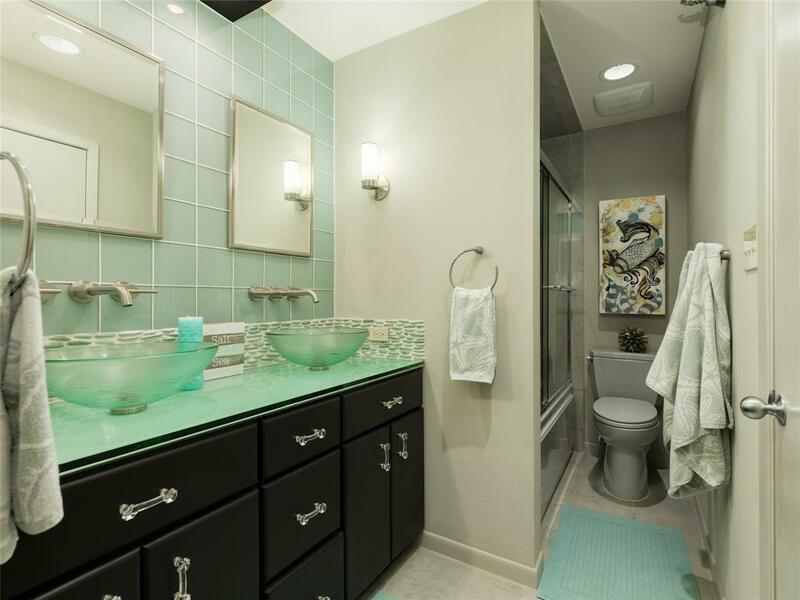 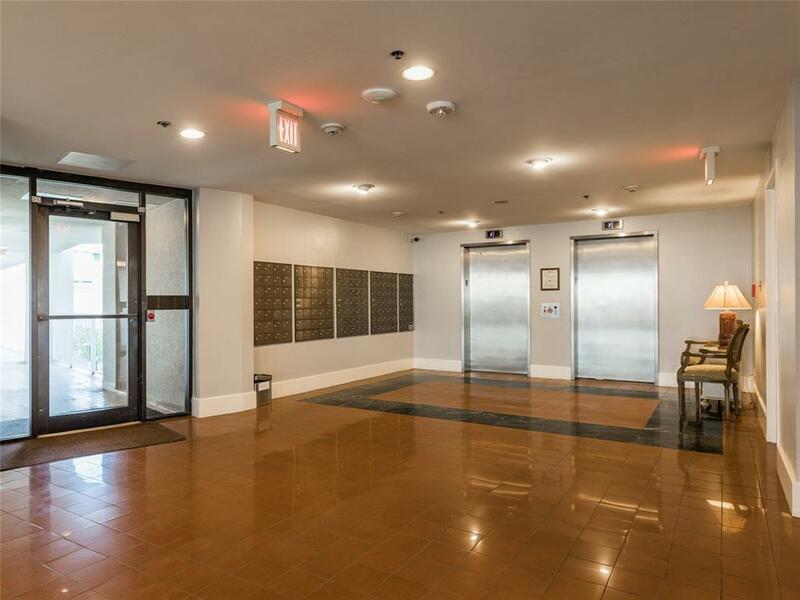 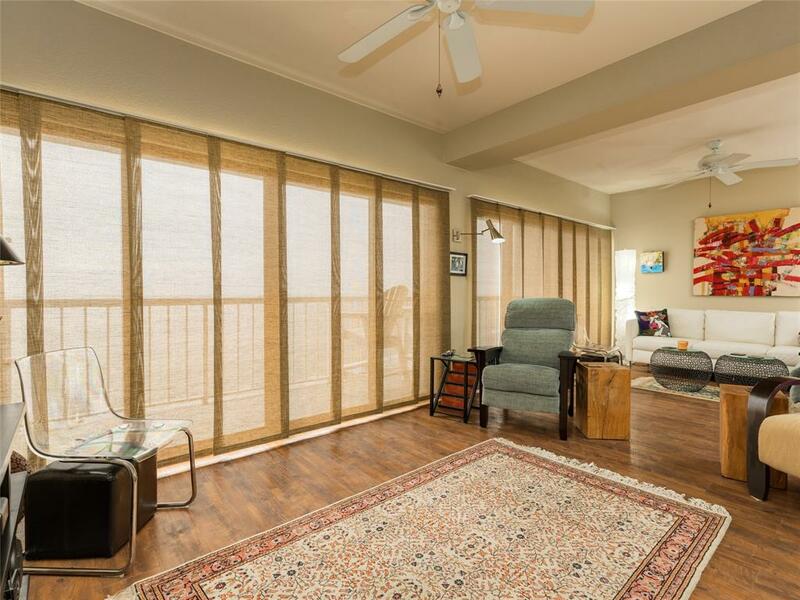 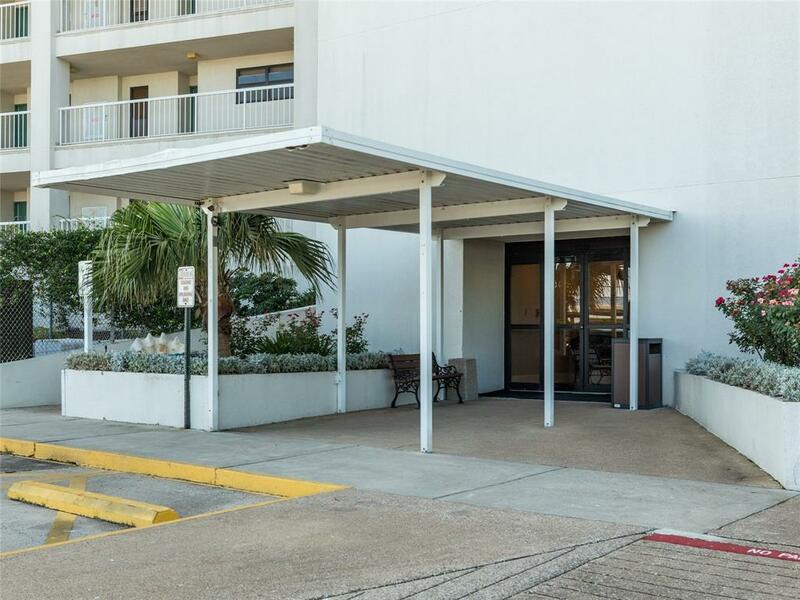 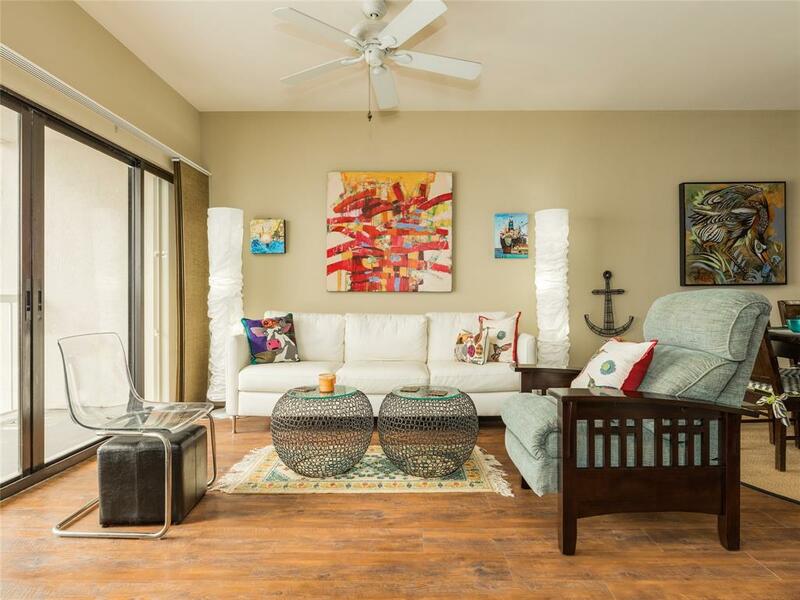 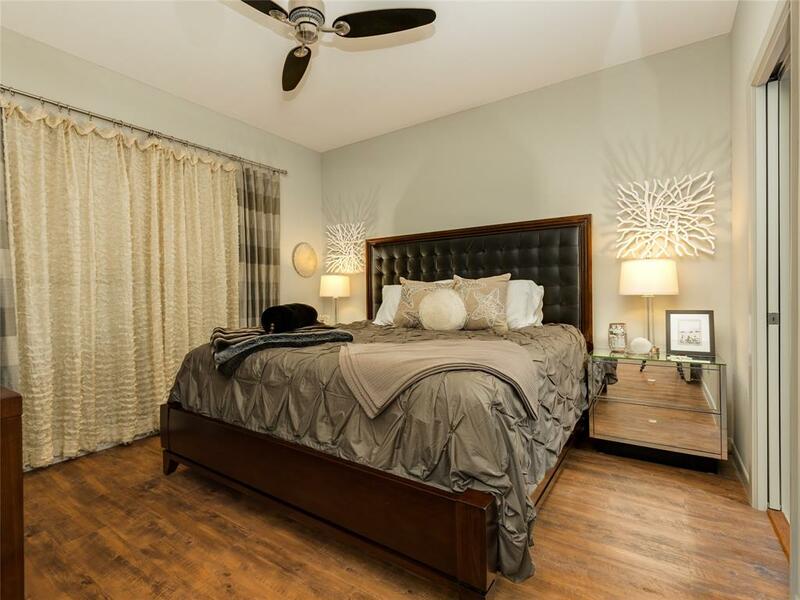 Completely remodeled with modern, designer touches and careful workmanship, this 2 Bedroom/2 Bath unit (currently configured as 1 Bedroom) is immaculate and well-maintained. 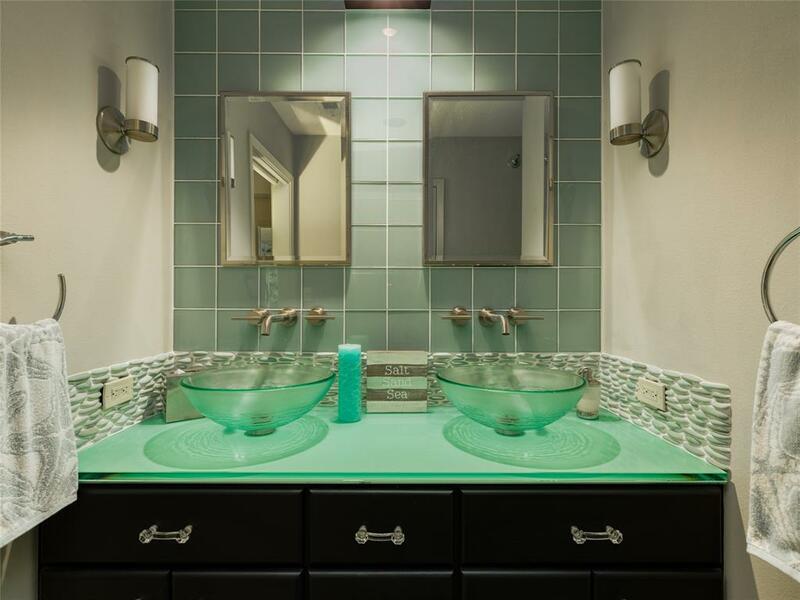 Unique details and top-quality fixtures featured throughout. 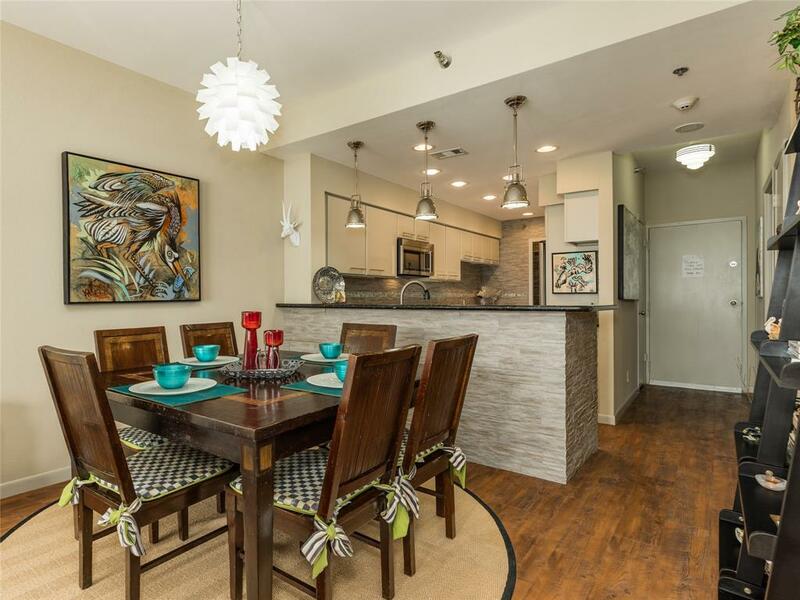 Features include an open dining area, that flows nicely into the living area. 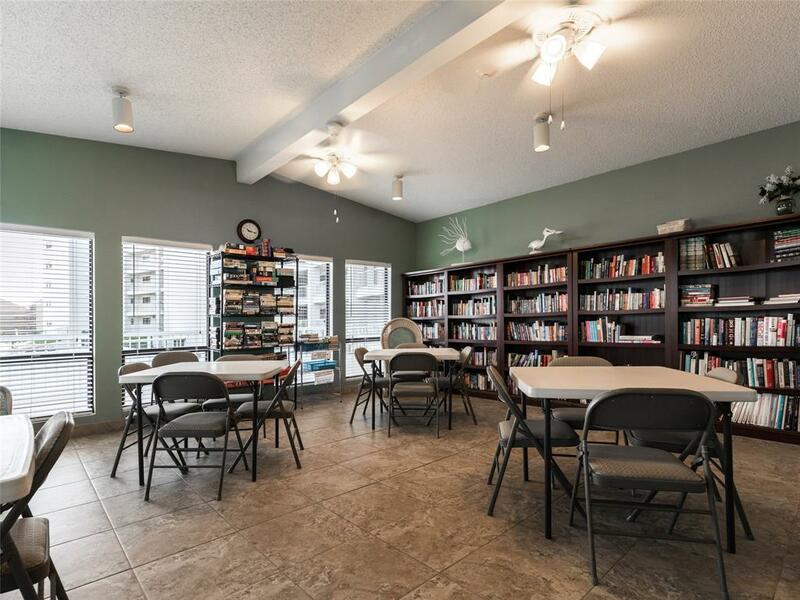 The second bedroom has been converted to an extension of the living room to provide a reading area. 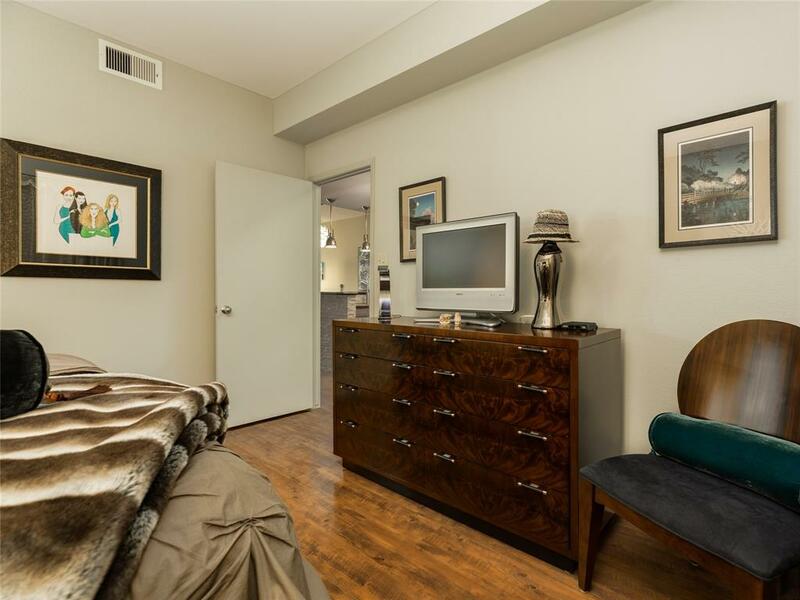 This space is ideal for the addition of a modern “Murphy” bed to use for guests, or keep as is. 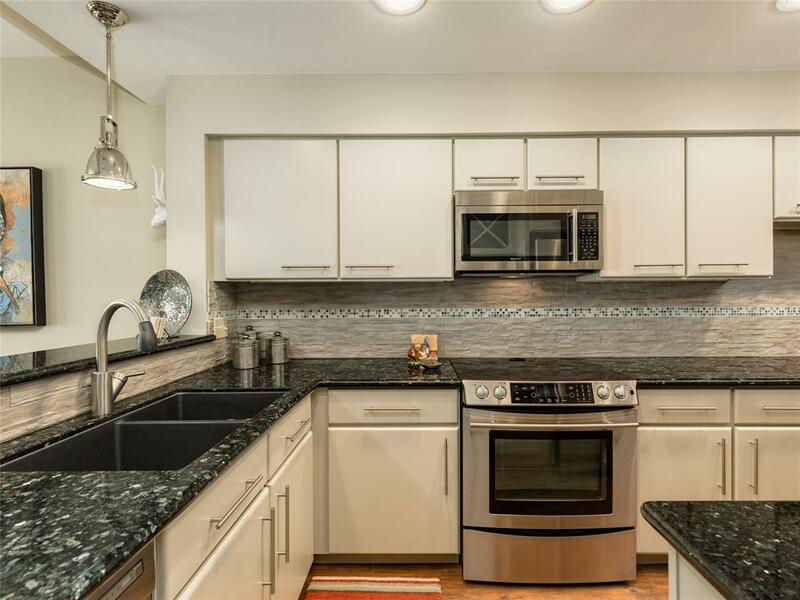 Decorative surfaces of the built-in wet bar reflect the aesthetic of the kitchen with beautiful stone and tile surfaces, Jenn Air stainless appliances and smartly-integrated European-style under counter washer and dryer. 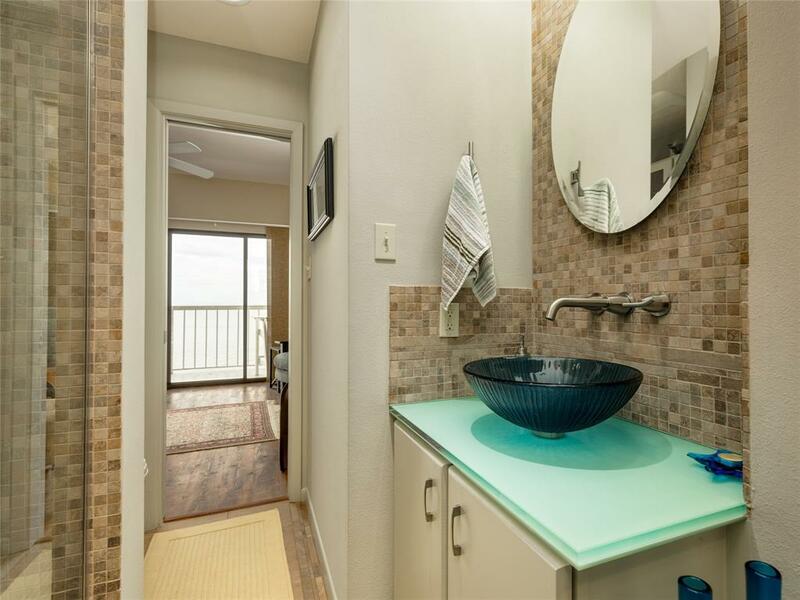 The roomy master has an en suite bath and hydrotherapy tub. 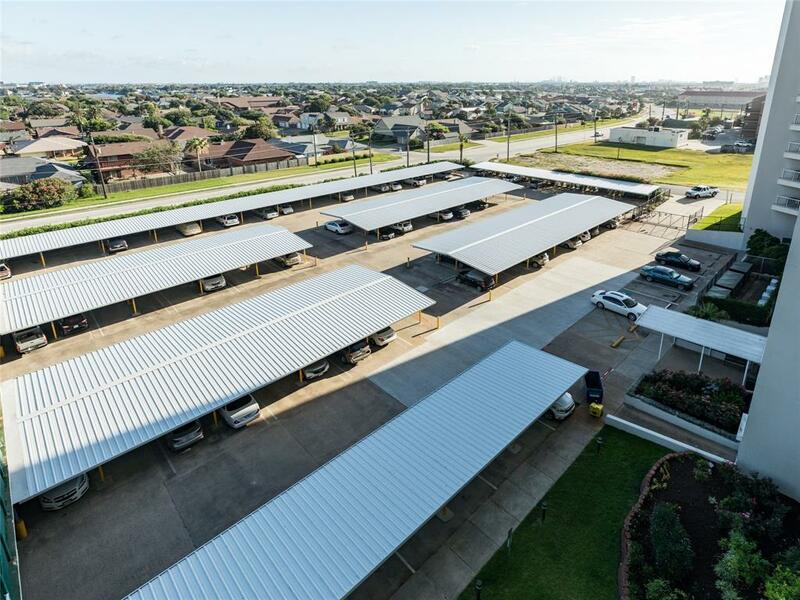 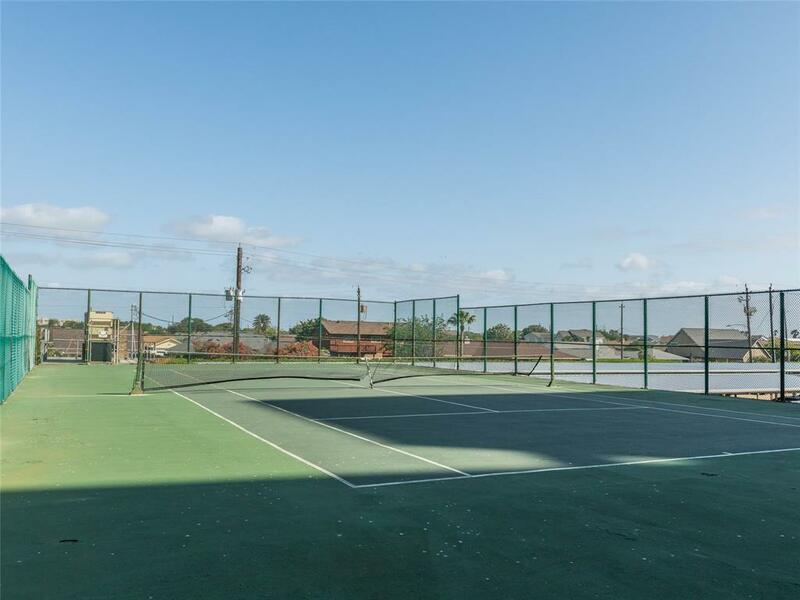 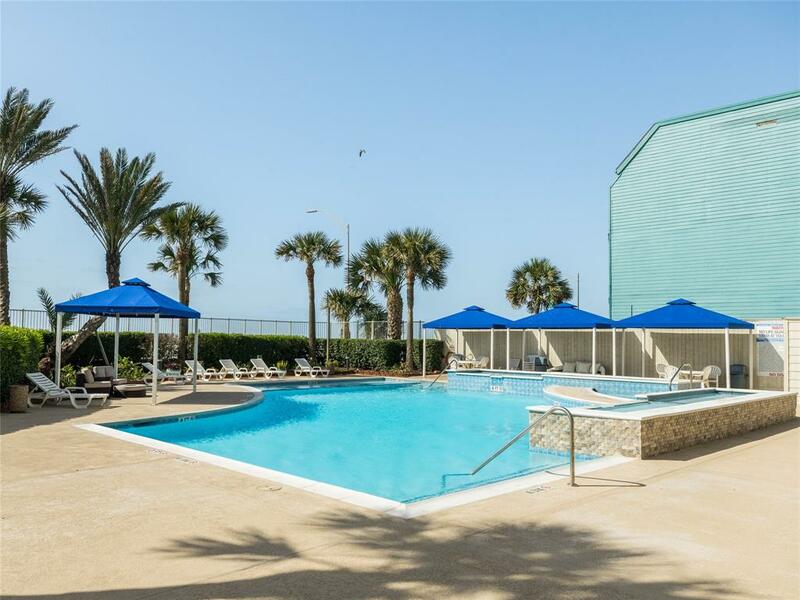 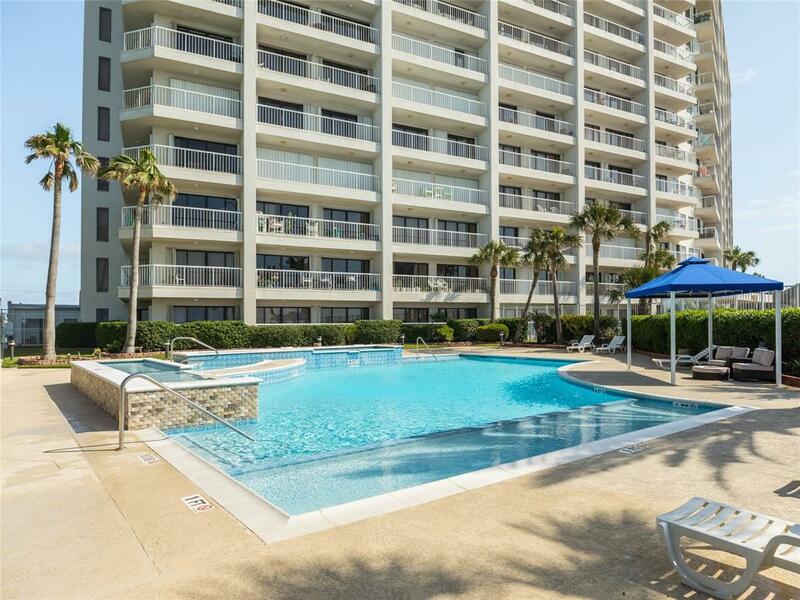 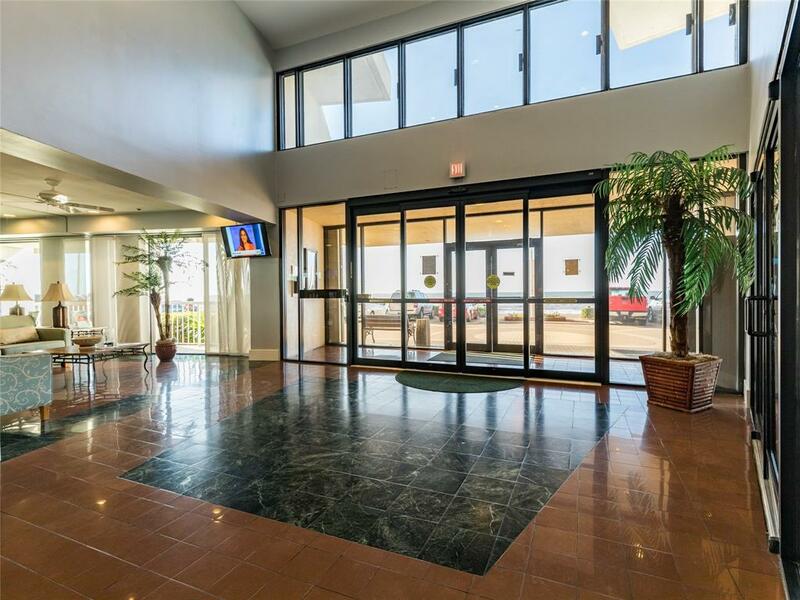 Condo amenities include one covered, assigned parking spot, swimming pool and tennis court.